Anyone who's flown into or out of Heathrow Airport in London recently might recognize the new fleet of driverless cars coming to the city in July. According to the team behind the project, the new vehicles are being adapted from the airport’s futuristic shuttle pods. The final design of the autonomous cars has not yet been revealed, but we do know that they will be modified to drive on pavement instead of tracks like the pods at Heathrow. The vehicles will be the first of their kind to be tested on the streets of London when they hit the road this summer. 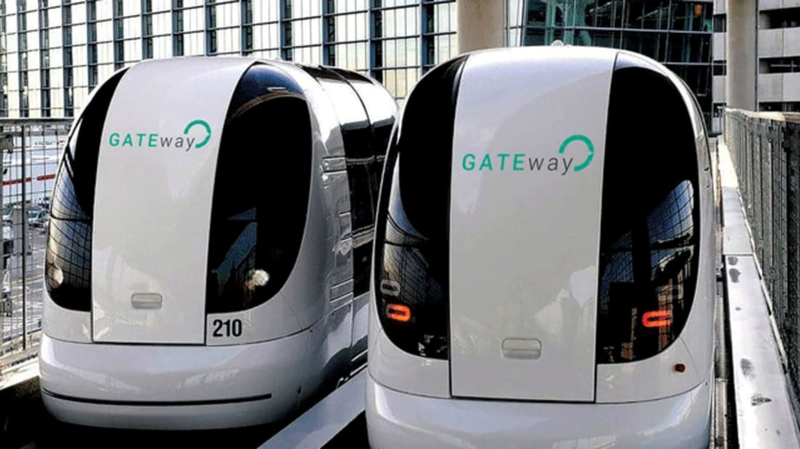 The Greenwich Automated Transport Environment project, or GATEway, plans to unleash the cars onto the tarmac of the Greenwich Peninsula in July. Specific routes are still being worked out, but citizens of London can expect to see the pods zipping down residential streets and areas close to the O2 arena. The three-month trial will be testing the response of both selected individuals and members of the general public as they act as the driverless vehicles' first passengers. The Ultra Pods the cars will be modeled after have been serving visitors to Heathrow for the past five years. During that time, they’ve shuttled 1.5 million passengers and traveled 1.8 million miles between the parking lot and Terminal 5.